The suddenly-relevant Warriors have made big strides. Stephen Curry, Klay Thompson, Andrew Bogut, & Co. have turned the Bay Area into a basketball hotbed – you could practically feel the crackle of energy in the air as they upset Denver in last year’s playoffs. The sky’s the limit for this team, and local investors are taking notice. 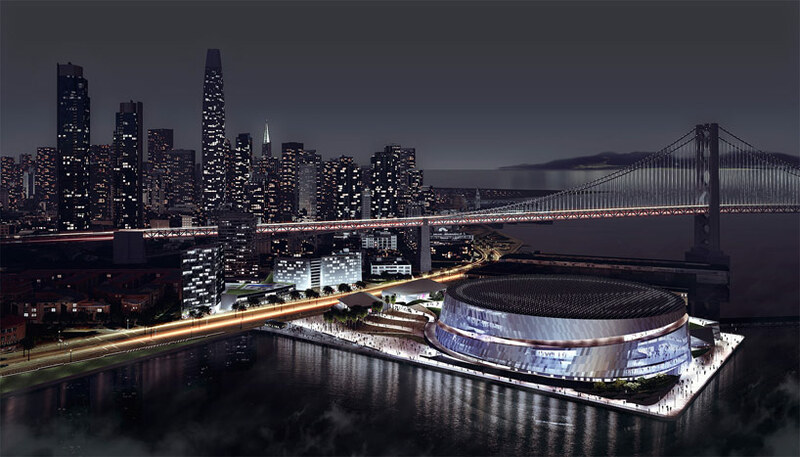 The Oracle’s lease runs out after the 2017 season, and plans are in the works across the bay for a sumptuous brand-spankin’-new waterfront arena tagged at $1 billion – that’s billion with a B. 1) They’ve electrified the town. Big-dollar investors don’t drop that kind of cash without good reason. There is big money to be made through licensing, media rights, merchandising, advertising, concessions, and the list goes on. This all happens when strong public support goes hand in hand with investors’ attention – both of which the Warriors suddenly have. 2) They’re here to stay. After all, Oracle 2.0 won’t be ready for another 4 seasons. As it stands now, every contract on the team will have expired by that time. The only ones still on the books through the end of the 2016-17 season are Curry and offseason newcomer Andre Iguodala. 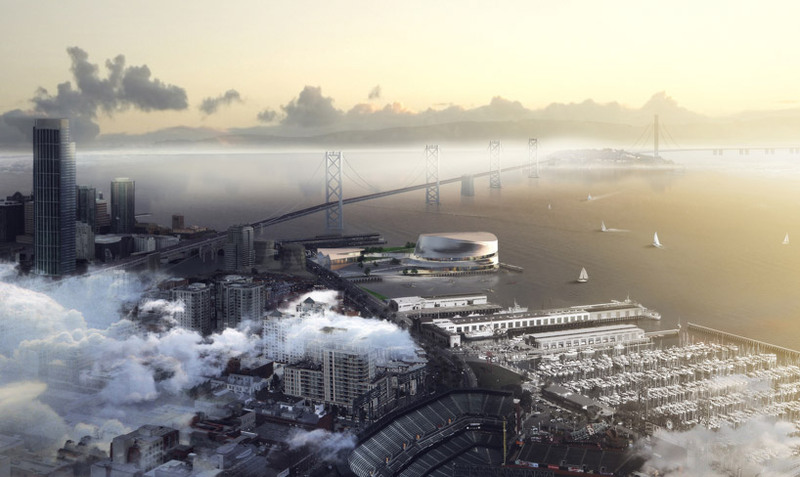 Bay Area med-tech venture capitalist and Warriors owner Joe Lacob’s potential use for that cap space doesn’t bode well for the rest of the NBA. First, keep the major players – Curry is key, and Thompson and Bogut are a close second. Barnes is no slouch either. Curry-Thompson is a potentially deadly 1-2 punch, if next year they can adjust to defenses who figure them out after last year’s lights-out playoff performance and if Thompson can avoid a sophomore slump. Bogut is a reliable rebounder with good hands and instincts, and he can score when needed. Curry is signed through 2016-17, but Bogut’s is up next summer and Thompson’s has a club option the summer after that. Get them back. Second, build around that core. They’ve got a good thing going and just need to make a few well-timed tweaks. Andre Iguodala might prove to be just that. However, my first response is no, due to his age for two reasons. First, he turns 30 in January, not old but also not young. Second, in his 9 years he’s proved himself as a good player but not a franchise cornerstone. Still, he could be a solid missing piece and a good small-forward addition to supplement Curry at point, Bogut inside, and Thompson/Barnes on the wing. Keep an eye on the Warriors. They’ve got a great chance to do some big things. Not right now, not this season — they’ve got a ways to go before competing with the Heat and Thunder. But keep an eye on them, come spring. And definitely keep an eye on their new arena, come 2017.